Description: This tribute to decades of Harman success burns with an uncompromising commitment to quality. 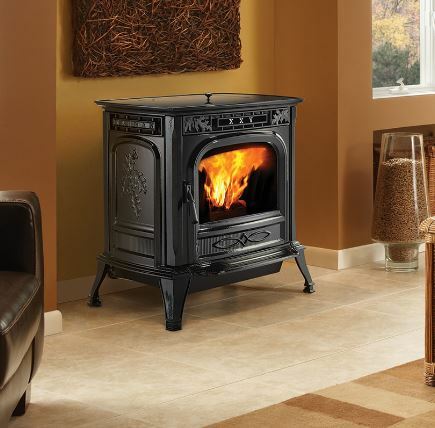 The XXV-TC pellet stove is popular for its cast iron workmanship and intricate oak leaf styling, but loved for its unmatched temperature accuracy and control. Harman continues to raise the standard for excellence, with the revolutionary EASY Touch Control system making the pellet stove experience easier and more intuitive than ever before. Heating Capacity2: 900 - 2,300 sq ft.